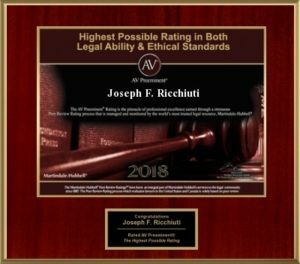 Joseph F. “Pete” Ricchiuti, Esquire has been a trial attorney for 50 years; he was a senior shareholder at Litvin, Blumberg, Matusow & Young from 1978 to 2004 and served as the firm President from 1990 to 2004. He was a defense attorney for the first nine years of his career. He currently practices at Young, Ricchiuti, Caldwell & Heller. Mr. Ricchiuti has extensive trial and ADR experience in medical malpractice, product liability, bad faith and other personal injury matters. Mr. Ricchiuti handles around 70 mediations/arbitrations a year with particular emphasis on professional malpractice, product liability, personal injury and discrimination matters. He has completed advanced ADR training courses at both Harvard Law School and Pepperdine University. He is a member of the ABA section of Dispute Resolution, and a member of the Association of Conflict Resolution. He has lectured and published articles on mediation and alternative dispute resolution. 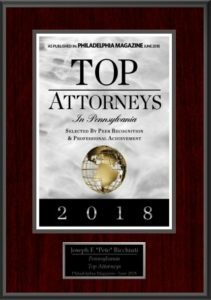 He is regularly recognized as a Pennsylvania Super Lawyer. 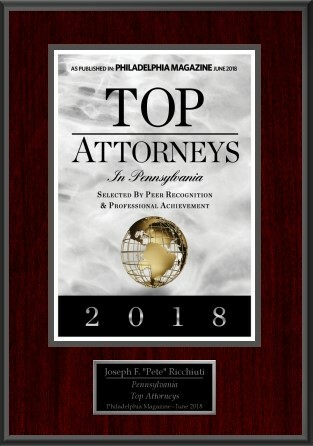 Pete is voted a Philadelphia Best Lawyer for 2019. He is a member of the American Board of Trial Advocates with the rank of Advocate. 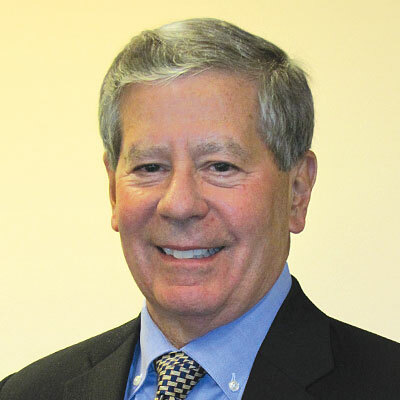 He has carried Martindale-Hubbell’s highest rating for Legal Ability and Ethical Standards for the last 40 years. Mr. Ricchiuti received his B.S. in Biology from Notre Dame in 1964 and J.D. from Villanova Law School in 1967, where he was a member of the Law Review.